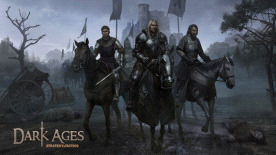 6 factions with unique generals and squads: the nimble nomads of the Horde, the well-armored and disciplined Imperial soldiers, the mad Sea Barbarians clad in furs, the Union’s guilds wielding gunpowder, the proud knights of the North, and the exotic cults of the Twin Rivers. Study and upgrade artifacts that affect your whole kingdom. You can choose to turn your subjects into fearless fanatics, learn to conjure money out of thin air, or make your enemies flee in terror at the sound of your name. The random events system simulates the life of a realistic medieval state. Each turn may bring good fortune or grim tidings.